Conveyor belt sushi bars are always fun to dine in. Who would have thought it would be just as fun to manage them? 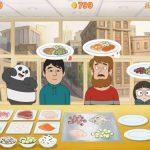 Sushi Bar is a new restaurant-themed idle game from Green Panda. 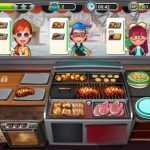 In the game, you get to manage your own sushi bar by hiring and upgrading chefs, optimizing the production line, and cooking various dishes. You start out with your own small restaurant, but you will be able to expand and open more sushi bars in different locations around the world. The more advanced your restaurant is, the more money you will make. Of course, that also means it will become more difficult to manage. Upgrades will cost more the further you progress. Soon, you will be struggling to manage your budget in order to keep up with the costs. Be sure to read our Sushi Bar guide for cheats, tips and tricks to make more money! In Sushi Bar there are several types of upgrades available. Knowing which ones to prioritize will help you get the most out of the money you spend on them. Price and speed upgrades for your production line are extremely important. Speed will allow you to cook faster, which means you get to serve more customers right away. Price makes each dish more expensive. Both these upgrades help you make more money. Seat upgrades are not necessary until you have upgraded speed to the point where you are making more sushi than the customers are able to consume. Chef upgrades mostly involve increasing the price of each dish that they cook. You can also upgrade the price of individual sushi types. Just as we mentioned above, price plays a huge role in increasing your income, so upgrade everything that involves pricing. Don’t worry about losing customers since this is an idle game, the customers won’t really care how much they are paying. When you start out, you will only have one chef. 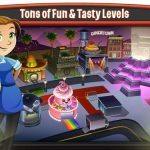 You will be able to unlock your second and third chefs at levels 7 and 15 respectively. The more chefs you have, the faster the production will be. This means you will need to start upgrading your seats as well in order to accommodate more customers. If you often play actively, you will need nine seats per chef. If you mostly play passively, then six seats per chef should be enough. The game allows you to run different restaurants around the world. You get your second restaurant at level 25. New restaurants are unlocked every 25 levels after that. Regardless of location, every new sushi bar works exactly the same way. The upgrades do not carry over, though. That means you will need to unlock three chefs and upgrade the production line all over again in each restaurant. 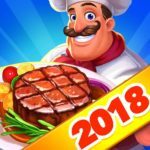 The more restaurants you unlock, the more money you will make. The faster you produce dishes, the more money you will make. This means you will be able to earn even more if you play actively. Just tap on each chef to make them work faster. Since you can’t realistically tap on every single chef in the advanced stages of the game, always focus on the most recent chefs that you have acquired. They let you earn the most money, so even if you just tap on them, it should be enough to boost your earnings considerably. Make sure you scroll to the middle of the sushi bar so you can speed up three chefs at a time. Do you have what it takes to become a sushi bar trillionaire? With our tips, tricks and cheats listed above you will be raking in the cash effortlessly!